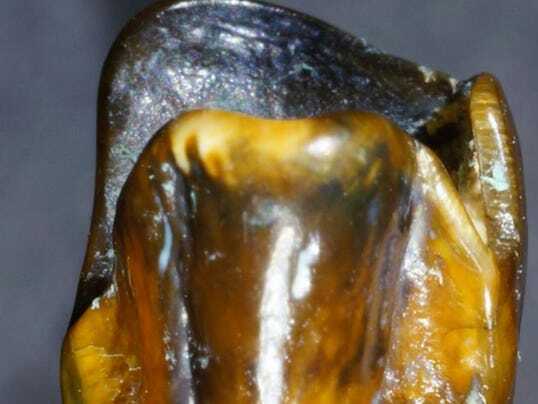 "The great ape teeth found in Eppelsheim last year could topple the understanding of our earliest history. Herbert Lutz, head of the excavation team, tells Deutsche Welle what the find means to him — and how it almost didn’t happen. HL: We were excavating riverbed sediments of the proto-Rhine River near Eppelsheim. These sediments are approximately 10 million years old and are well known in science, ever since the first fossils were excavated here in the early 19th century." The tooth is no longer white. Instead it has an amber shine. "Ancient ruins in the middle of the Pacific ocean could be the remnants of a legendary race or dare we say....Atlantis. Images of the site can still clearly be seen via Google Earth." "Two tombs dating back 3,500 years to the famous Eighteenth Dynasty of Egypt have been discovered in the country's south. Archaeologists found one tomb with five entrances leading to a rectangular hall, and another with a six-metre burial shaft leading to four side chambers. Two tombs dating back 3,500 years to the famous Eighteenth Dynasty of Egypt have been discovered in the country's south. 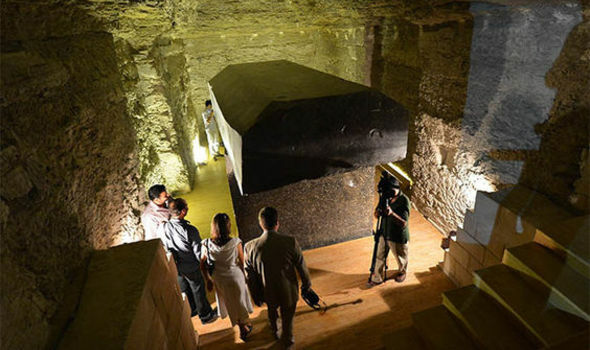 Work is now being done to restore items found in each tomb, Egypt's Antiquities Ministry said. A mummy wrapped in linen was discovered in the larger tomb with the rectangular hall. However, the identity of those buried are yet to be identified." Standing 5ft 8ins and weighing 16 stone, it was the same height as an average male - and much heavier than his 13st 3lb. It was almost twice as tall and more than triple the weight of the Emperor - the largest modern penguin which can grow to 3ft 3ins and tip the scales at 66lbs. Lead author Dr Gerald Mayr, of the Senckenberg Research Institute in Frankfurt, said the discovery sheds fresh light on the evolution of the iconic flightless seabird. This latest discovery was made at Hampden Beach in Otago, New Zealand. Its large size would have allowed it to swim further and dive deeper than today's penguins. But the big avian beast would still waddled about when it was on the land. Named Kumimanu biceae, it lived during the late Palaeocene. Its partial skeleton included a thigh-bone - or femur - measuring more than 6 inches in length." "Archaeologists have discovered the remarkable remains of 5,000-year-old makeup at one of the world’s oldest cities. The researchers discovered a burial from 1,800 BC positioned beneath a palace floor. 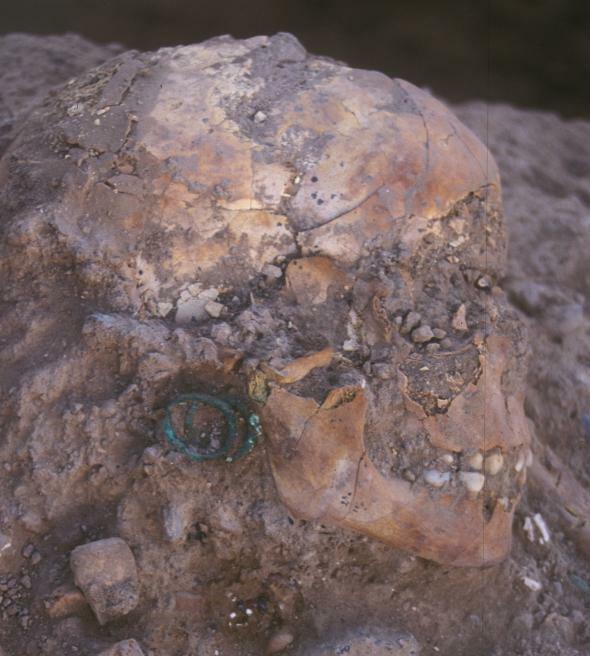 Inside the burial changer, the archaeologists discovered the remains of a nine- or 10-year-old girl buried with jewelry and other artifacts. Of all the archaeological sites in the Palestinian Territories, Tell es-Sultan is the most heavily visited, according to the researchers." I had a moment of laugh in the middle of the vid at 4:03. I think many of you would kinda crack up laughing, too. Megaliths: Did the Rocks Baked/Chemically Treated To EXPAND To Fit To One Another? IT DOES MAKE SENSE for SOME places, if that could be achieved. Like adding the pull apart bread in a big round tin, and seeing how smaller rolls expand and sticks to the sides of other smaller rolls while getting cooked, and by the time the cooking has finished, all smaller components of doughs filled up opened space, and walla....you have a nice big chunky bread that everyone can pull apart easily. Elongated Skulls - DNA Results ARE IN!! 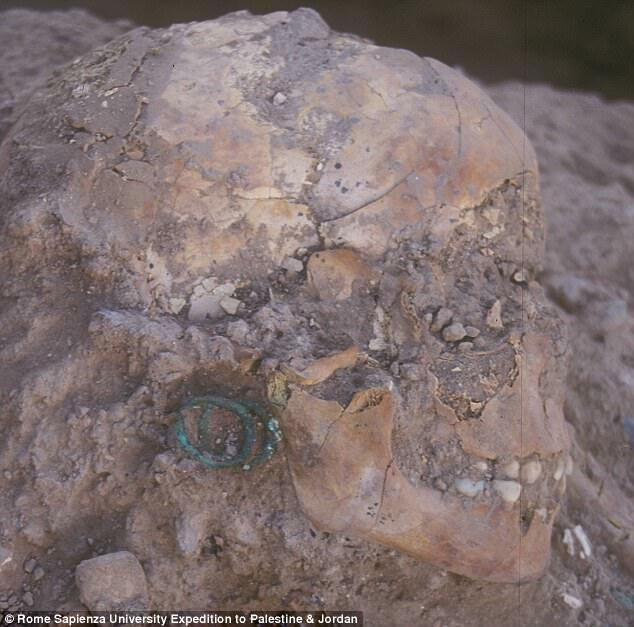 "“Only a very small proportion of each skeleton was found, with the majority of bones apparently deliberately removed. This discovery indicates highly complex processing of the dead,” Dowd said." "Putting the manuscript through the same statistical procedure yielded the hypothesis that it was written in Hebrew." "The first 72 words of one section yield translations that might fit in a botanical pharmacopoeia: "farmer," "light," "air" and "fire." For those who need to know and want to know; the news is an INVOCATION itself. IDK which side, though. An ancient treasure discovered in a historic cave has sparked claims that an alien civilization lived on Earth thousands of years ago. In the video (below) a number of Klaus Dona artefacts, which date back over 7,000 years, show alien-like figures featuring long faces and round eyes alongside UFOs floating above the ground. Daily Star reports: These figures are popular among locals of the caves. Since then it has racked up almost 30,000 hits and attracted a host of comments trying to get to the bottom of the mystery. But some were not as convinced, stating they may not be entirely real." 5,000-Year-Old Cosmetics, Jewelry Show Rise of Ancient Jericho. 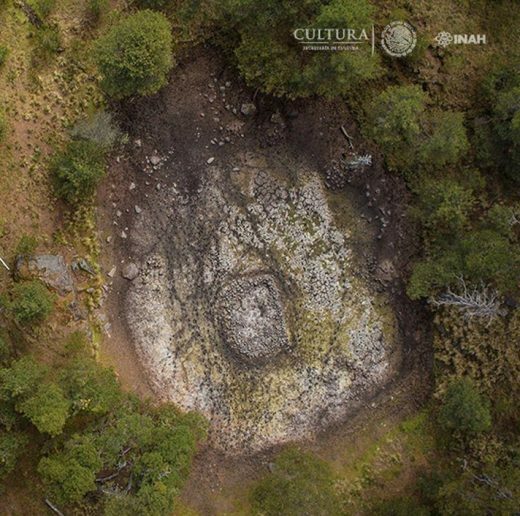 "In what’s being hailed as a “major breakthrough” in Maya archaeology, researchers have identified the ruins of more than 60,000 houses, palaces, elevated highways, and other human-made features that have been hidden for centuries under the jungles of northern Guatemala. Garrison is part of a consortium of researchers who are participating in the project, which was spearheaded by the PACUNAM Foundation, a Guatemalan nonprofit that fosters scientific research, sustainable development, and cultural heritage preservation." This is Brian Foerster's video. Published on 5th Feb 2018.
from Jan. 13, 2018 Paul Baldwin how'd we miss this one? "THEY weigh more than 100 tons, they are solid Aswan granite, and they are precision engineered to tolerances which would be deemed remarkable even today. The skillfulness of the stone cutting, accurate to just a few microns, is so remarkable that some experts have concluded that they were not built for Egyptian pharaoes but in fact left on earth by and alien race and simply appropriated by the kings. Serapis was recognised across the Mediterranean region and emerges in both Greek and Gnosyic religions – usually in the guise of a man with a three-headed dog on a chain." What is it with black boxes/cubes? This channel is producing little gems time to time, and thought I introduce the latest one for you people, in case others also find the channel worth checking it out. The channel owner has already copped the oppression from YT, lost the most viewed channel he had. You guessed it right---it was mostly about UFOs and other anomalies. 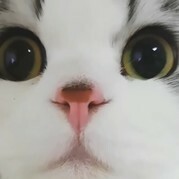 This is his second channel still surviving. There are treasures untouched for at least 2,000 years. Putting the CHANI goggles on to ponder around about....... knowing this excavated area is connected to THOTH, it's like RISE OF THOTH is being nudged here. Away from all the factions hanging on Earth, to me, when we received language in written format as how we use now, it created confinement in our skill of telepathy. Though Mathematics could open us up, why language was introduced to us, when WE DIDN'T NEED IT? I feel it was used a part of DUMB-ING US DOWN process. At the beginning, I wasn't sure where the vid poster was going to take us to, but it turned out to be interesting. hmmm black rocks, black algae, ancient, biological, and possibly a sentient organism rocks that move and change, living things disappear/die sound familiar? "An announcement that seemingly slipped us by, was made recently within Egypt. This announcement, pertained to an amazing discovery made within an area of the Giza plateau, that for a number of decades, has been conveniently been shut off from the public… Although the location is claimed to be a military training base, archaeologists have apparently been secretly beavering away within this remote slice of antiquity. Announced by the Supreme Council of Egyptian Antiquities, Egyptian authorities have apparently found the mysterious traces of the legendary 4th lost pyramid of the plateau. This provocative announcement stirred up a gale of protest among many Egyptologists, and the reasons for this may because the discovery, might turn out to be highly controversial... Although the pyramid is in a very bad state, and this may be due to its immense age, with only a few rows of blocks remain, and these surviving blocks clearly displaying evidence to indicate, that the missing blocks have simply eroded away over the eons,,, this ruin, may not be the most important find in the area, or indeed the purpose for the video. Along with these pyramidal remains at the site, is another amazing anomaly. In the middle of this mysterious desert, an enormous staircase has been found, plunging into the desert floor. Seemingly excavated before this announcement, and left for those who were fortunate enough to get access to the area, to rediscover and photograph. This enormous staircase plunges straight through a limestone basin many metres in depth, this surgical slice, has revealed an astonishing implication, it ha revealed that the Giza plateau does indeed extend this far, not only that, but it demonstrates the sheer, unimaginable cubic size of this area of stone, a block of stone that was apparently man-made… Where this staircase actually leads to, is as yet, unknown, although it is thought to drop far below that which is currently visible, and preliminary scans of the area are suggesting that it plunges through the plateau, deep into an ocean of ground water below. By examining the pictures of the discovery, it appears that the site has indeed been excavated from the sand, having most likely been submerged from view beforehand, the question is, who did these excavations? Who built this unbelievable structure, or indeed the mind bogglingly enormous Giza plateau? Who built the pyramids and sphinx upon it? Where did such an enormous stone plateau come from? How did they shape and carve such mysterious structures with such blocks. Or perhaps most importantly of all, where does this staircase lead? Did whoever undertake this excavation task, manage to discover where it led? More research and exploration will undoubtedly be undertaken over the next few years. We will, of course, keep you posted." Found it very interesting about the period of time when fertility went haywire and no male babies survived, comparing that to now in relation to testosterone problems with men in the world, also in relation to the feminizing of men currently going on. Also noted how this came at the time that they were experimenting with the crossing of human with animal genes, and he noted the growing of ears/noses where they don't belong, which is also taking place right now. Perhaps we need to pay very close attention to this info..For those who have ears to hear or eyes to see....maybe there's a very serious message here. A warning for the future of mankind. Interesting timing of the find.